provides the angular error about both the pitch and roll axes. For the EW scanner, pitch is measured using a binary up-down counter to accumulate encoder pulses from the scan mirror. Encoder pulses are counted during the time an Earth radiance signal is present with the direction of count reversed when the scan crosses the spacecraft pitch axis. When the scan is centered, the up count and the down count are equal and a zero count or null pointing angle is obtained. Roll is measured by comparing the total number of encoder pulses with a nominal value corresponding to the expected Earth width at zero roll angle and synchronous altitude. For the NS scanner, the pitch and roll angle computations are reversed. Thus, the system provides redundant output over a ±2.82-deg linear range. The specified sensor accuracy is 0.05 deg with a 0.01-deg least significant bit. In the mission mode, the NESA provides error signals to an autonomous control system. 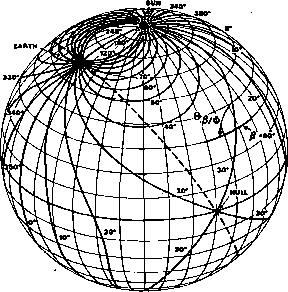 During the CTS attitude acquisition phase (Section 19.5), the NESA data were available over an approximate 26-deg by 26-deg field of view, although most of the data provided pitch and roll quadrant information only. window (to define the optical passband) and is focused on a thermistor fixed in the spacecraft body. 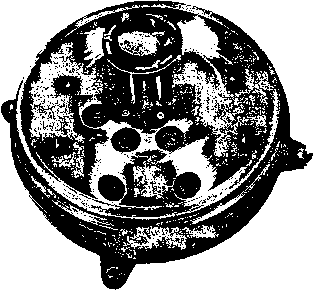 A magnetic reference slug, located on the flywheel, provides a reference pulse when it is sensed by a body-mounted magnetic pickup each revolution. The Scanwheel electronics measure the duty cycle before and after the reference pulse. Scanwheel and similar systems have been the subject of detailed analysis by Wertz, et al., , Hotovy, et al., , and Nutt, et al., . 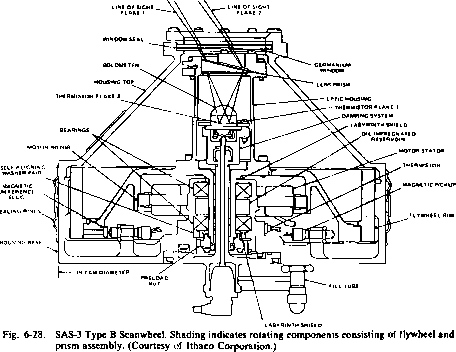 Table 6-3 summarizes the physical characteristics of scanwheel systems.